Raising the alarm: Individual differences in the perceptual awareness of masked facial expressions. A theoretical concern in addressing the unconscious perception of emotion is the extent to which participants can access experiential properties of masked facial stimuli. 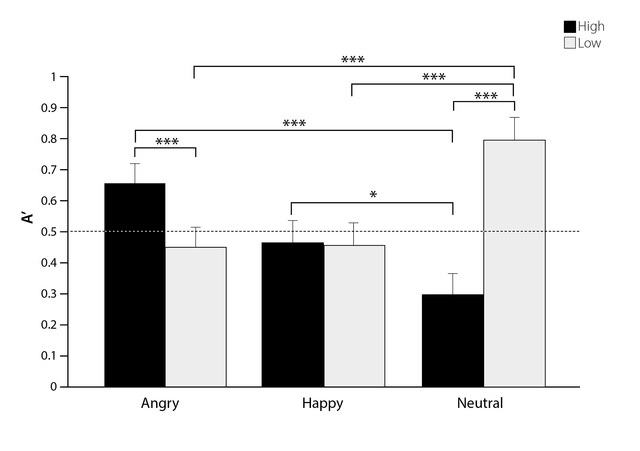 Performance on a two alternative forced choice (2AFC) task as a measure of objective awareness was compared with a new measure developed to access experiential phenomena of the target-mask transition, the perceptual contrast-change sensitivity (PCCS) measure in a backward-masking paradigm with angry, happy and neutral facial expressions. Whilst 2AFC performance indicated that the targets were successfully masked, PCCS values were significantly higher in the happy-neutral face condition than in the angry-neutral face and the neutral-neutral face conditions (Experiment 1). 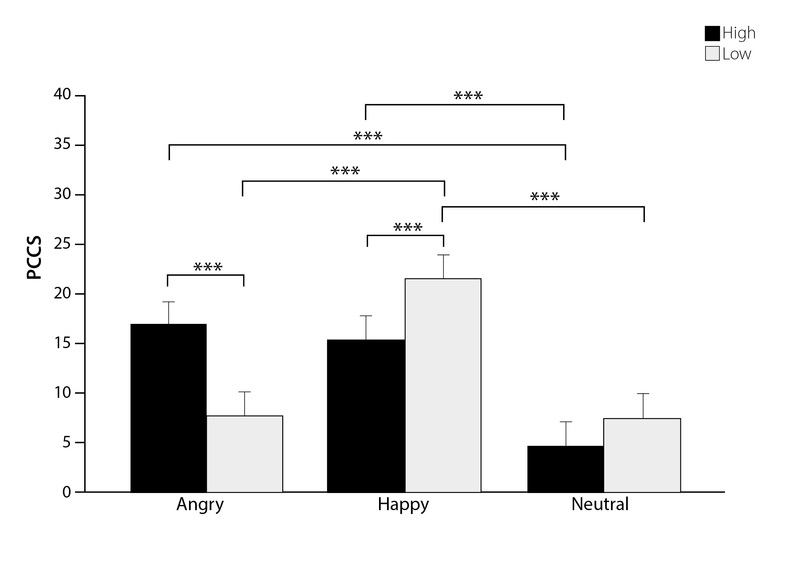 Furthermore, objective measures of awareness were more readily displayed by individuals with high trait anxiety, whereas individuals with low trait anxiety showed greater access to the experiential quality of happy faces (Experiment 2). These findings provide important insights into the methodological considerations involved in the study of non-conscious processing of emotions, both with respect to individual differences in anxiety and the extent to which certain expressions can be successfully masked relative to others. Furthermore, our results may be informative to work investigating the neural correlates of conscious versus unconscious perception of emotion.